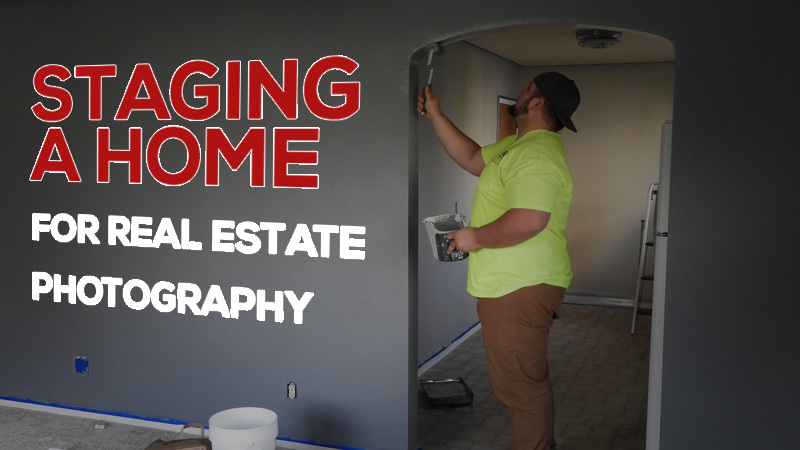 How do you sell a home in today’s market when the visual elements of a real estate marketing campaign are so important? I think that’s really important. If you’ve organized a professional real estate photographer to come and photograph a home you’re selling then that’s great! Top quality photography makes a real difference and can help enormously with the sale. However, staging that home is also incredibly influential, since a beautifully photographed home that is poorly presented will not do nearly as well as a home that is perfectly presented inside and out. It’s not hard to understand the importance of this. Let’s suppose there are two homes in the same street, and one is owned by the Smith family and the other by the Brown family. The homes are practically identical in their layout, each with three bedrooms and two bathrooms. The Smith family home is neat enough, although with two young kids there is a bit of clutter around the home, and the furnishings are rather dated. The real estate agent they hired always does his own photos, and the images are somewhat dark inside, the colors aren’t right, and they look like they were taken in a hurry. The Brown family also have two children, but their agent encouraged them to have a professional home staging company prepare their home, using a mix of the Brown’s furniture together with special pieces brought in by the stager. Their master bedroom, and the main living and dining areas, look practically brand new, with wonderful decorative pieces, stunning cushions, and beautiful chairs. The agent followed that up by bringing in one of the best photographers in their area, they did a photo shoot at twilight, and the home looks incredible. Now both the Smith home and the Brown home are on the market at the same time, and both homes have the same advertised sale price. Which one do you think will attract more interest from buyers looking in that particular price bracket – will it be the Smith home, which is presented in a very average sort of way and the photos are poor, or the Brown home, which is perfectly staged and features amazing photography? Clearly the Brown home is going to do much better, which further adds to the point made in the video above that home staging and professional photography are big factors that influence the time on market and the final sale price for a home, regardless of the property market. Hiring a professional staging company to prepare your home is ideal, but if you can’t do that then you can certainly do a lot yourself to prepare a home for sale. Tip #1: Declutter – “Get creative with storage solutions”. #1: Make a first impression so that the exterior of your home looks great as people approach it. #3: Impersonal works, and that’s because the buyer wants to imagine themselves living there. #4: Keep it fresh by making sure there aren’t any unpleasant odours. #5: Declare a war on grime by cleaning the home like it’s never been cleaned before. #6: Hire a handyman to take care of all the little odd jobs around the home. #7: Colored up with fresh paint in key rooms and the front door. #8: Reduce furniture so that there is more open space to make the rooms look bigger. #9: Light it up by washing all of the windows to add 30% more light, and replace low wattage bulbs with brighter lights. #10: Add a touch of humanity by bringing in some fresh plants or flowers in a vase. I think it’s important to remember that, because if we don’t have a perfectly staged home right now while we are still living there then that’s not a bad thing – we live in our homes and that’s fine. However, when it’s time to sell a home then we need to see it as no longer a home, but as an item that needs to be sold. Taking the time to present it the right way can have a big, big impact upon the final sale price that you achieve.